One of the most popular Disney movies of all time has captured hearts in a whole new way: as an amazingly entertaining musical! Based on the books by P.L. Travers and the classic Walt Disney film, Disney and Cameron Mackintosh’s Mary Poppins delighted Broadway audiences for over 2,500 performances and received nominations for nine Olivier and seven Tony Awards, including Best Musical. 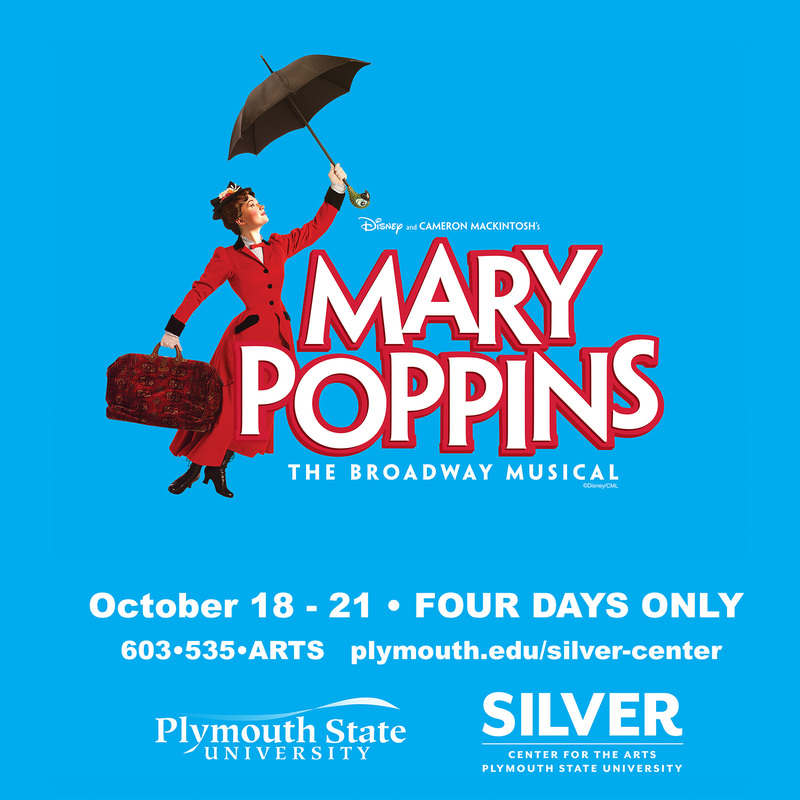 Plymouth State Theatre brings Mary Poppins, an enchanting mixture of irresistible story, unforgettable songs, breathtaking dance numbers and astonishing stagecraft, to the Hanaway Theatre. Featuring stage direction by Professor of Theatre Elizabeth Daily, music direction by Professor of Music Dan Perkins, and choreography by PSU alumna Amara Decker, as well as Flying by Foy, Mary Poppins is great fun for everyone! Please see our special matinee prices and keep on the lookout for preshow events for families!